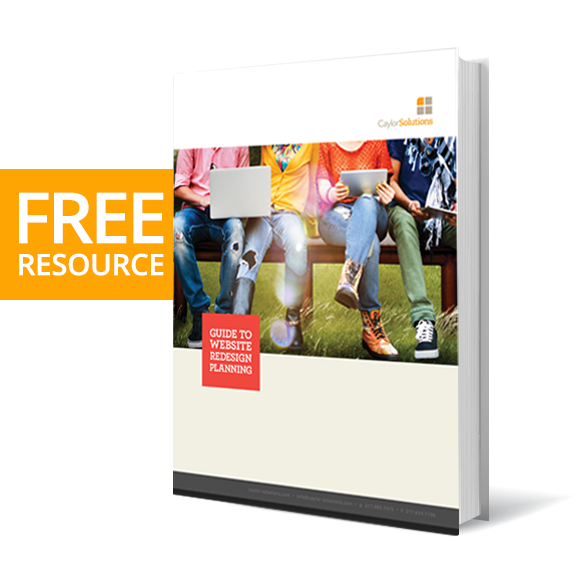 Are You Effective in Marketing to Prospective College Students? …For content you want to make the layout more specific to the kinds of people that will read it. For example, I want to become an engineer and I love math, so I like cold hard facts. Therefore, in the engineering section put info-graphs and stats. Counter intuitively, you should put more reading in the english department. Secondly, arrange your website like a catalog. Look at it this way, students (and people) have been looking through catalogs all their life and they’re easy to navigate. Plus, students are literally shopping for college. Lastly, try to put the average prices next to the major, because nothing is worse than finding something you really like, but it’s out of your budget. Finally, this is the money maker, so listen up. Add some humor or fun facts. It might seem like a waste of time, but if a potential student is deciding between two colleges they might like one better for some reason but they don’t remember why. Also, they will be going through hundreds of of websites for hours on end, and you know laughing is better for your health. Plus, through all those websites they will remember that joke and remember your college. Well, that’s all for today class. I hope you’ll think about these topics with your website. Here are ten ideas to leverage when putting your marketing plan together. If you are an angler, you fish where the fish are. The same applies to marketing to prospective college students. Statistics show that today’s teens spend more time on Youtube, Instagram, and Twitter than any other sites. Teens use social media to communicate. 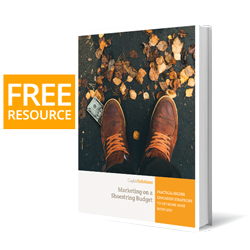 Leverage these networks with hashtags and best practices with your content. Above all, have a strategy for engaging these social networks. Today’s teens are visual: just look at the level of engagement on Instagram and Youtube. Statistics show that visual content combined with social media improves engagement. Use this knowledge to engage them throughout your digital marketing: social media posts, email, websites should utilize visual elements including photography, infographics, short videos, and the ever-popular animated gifs. Teens are not the only users to desire quick and scannable content. All readers of digital content first scan and then read. Only 20% of your content is actually read. Study after study shows that this is the case, which should drive you to develop content that is designed and written to be scannable and easily consumed with subheads, bullets, and short paragraphs. Teens, like all visitors to your website, need to see and feel the information. Your content should be about more than facts. Storytelling and use of emotional photography and video can improve engagement. Look for ways to tell your institution’s story in fresh and creative ways. Emotion can help engage the shortened attention span of your prospects…which is now shorter than that of a goldfish. Both online and off, users come seeking answers to their questions. Recent studies have shown that a visitor to a web page will decide within seconds whether the page has what they are seeking. If they believe it contains the answer they seek, engagement will average 1.5 minutes as they consume the content. Be sure that your content quickly answers their most pressing questions and provides means for brand engagement that will bring them back for more. Your marketing plan should include lead generation through your website.Offering gated content such as ebooks, quizzes, and white papers provides incentive for your prospects to register for your email updates. Once you have permission to email your users, let the computer run a pre-defined workflow to nurture your prospects to the next level of your funnel, all the while recording their responses, engagements, and assigning a lead score to help you better understand your prospect pool. The computer engages and nurtures while you build relationships at the right time. Remember to only ask for the bare minimum of contact information. Teens are notoriously suspicious of marketing and are not yet ready for a full commitment on the first engagement. As Nathan commented earlier keeping your content organized, especially on your website, is critical for engaging teens. Focus your content, navigation, and education website design (including responsiveness) on the prospective student’s needs. 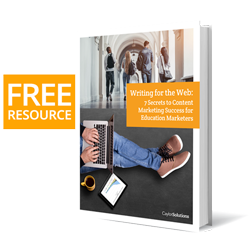 If your site is not enrollment driven with key information easily accessible, prospective students will move on very quickly (in about 3.2 seconds) to another institution’s website that provides what they’re looking for. Seventy-nine percent of prospective students say they would drop a school from consideration if they have trouble finding information on its website. As our discussion has shown, social media is a driver in today’s teen media consumption. The content in social media, as well as niche social media sites, are driven around entertainment. Teens have always been known as an entertainment culture (music, film, television), and much of that is now driven online and through portability of the mobile devices. Look for ways to bring entertainment, humor, and other popular culture into your marketing campaigns. This demographic is heavily fragmented. Softening your message and watering down your campaigns in hopes of appealing to the larger audience is a valid strategy in many cases. But it isn’t likely to work with teens. The best way to make an impact is to hone in on specific lifestyle segments. To do this effectively, there are two key challenges that demand attention. The first is authenticity; one of the most important elements to truly connecting with these teen audiences. You are entering their world. They’ve chosen, for that moment, to eat, sleep and breathe a particular lifestyle. And they can smell a fraud from a mile away. You can’t build a campaign out of top-of-mind stereotypes. Be sure that everything about your marketing is authentic…your messaging, your photography, your videos; even the way you leave the voicemails during calls. Be real and they will respond. Remember, you can’t fake authenticity. In that same MediaPost article, Buis suggests the other main element to consider when connecting with teens is the ability to evolve your marketing. The second challenge is evolution. Brands that want to cover the expanse of the youth market have to acknowledge the quick and consistent evolution of the teen psyche. Their interests, education levels, likes and dislikes, degrees of independence are changing by the minute. To build long term interest and loyalty, you must be prepared to grow your products and marketing strategies at that same pace. Your marketing plan should have flexibility built in. It is crucial to be able to evolve your tactics, while maintaining your brand position and messaging. Good strategies are crucial to assist with that plan. Many K12 schools are implementing 1-to-1 programs with students and technology (in our school district it starts in 5th grade with tablets through 8th grade and laptops or tablets in high school). Even this morning as I put my kids on the bus at the break of dawn, another parent pointed out the blue glow in the bus seats…every student was on their device. 91% of teens access digital content on their mobile device. If your website is not responsive and built for mobile viewing, the engagement is limited. Your emails need to also be built to be viewed on a phone and tablet. Meet your prospective student where they are with the device they use to connect with your digital content. Remember your prospect is a unique audience. Create your marketing plan around these unique aspects and start to see the success. How are you connecting with your teen prospects? Share how you are marketing to prospective college students in the comments below.